Vantage IRA is the company formerly known as Entrust Arizona. They are among the foremost self-directed IRA administrators of the southwest United States. With 6,500 clients in house since their beginnings in June of 2004, they are a third party administrator that works with First Trust Company of Onaga. Among their alternative asset choices they offer clients are private lending, real estate IRAs, private companies, and precious metals IRAs. Their annual fees are reasonable but do not include precious metals storage and administration fees. Vantage IRA is ranked #10 on our list of the top IRA custodians of 2019. In the following review, we’ll discuss this custodian’s history, management, reputation, products/services, and fees. Vantage IRA, formerly Entrust Arizona (http://www.vantageiras.com/) is one of the leading self-directed IRA custodians in the southwest. The Phoenix, Arizona-based company has managed to amass a client base of more than 6,500 since its inception in June 2004. Vantage IRA is a third-party administrator (TPA) that is partnered with First Trust Company of Onaga (FTCO). Vantage IRA specializes in guiding investors through the process of opening and completing transactions within self-directed individual retirement accounts (IRAs). The Founder and CEO of Vantage IRA is Mr. J.P. DahDah, a graduate of the University of Arizona with multiple degrees in Finance and Marketing. His professional career began in 1997 when he started as a financial advisor working for American Express Financial Advisors, a consistent Fortune 100 company. To learn more about the management and history of Vantage IRA, see their Meet Our CEO page. Note that the above annual fee of $100 does not include the cost of storage, which is charged at 10 basis points of the total fair market account value, with a $125 annual minimum. Thus, the minimum annual cost of having a precious metals IRA with Vantage is $225, in addition to the setup and other miscellaneous fees. Click here to see Vantage IRA's full fee schedule for precious metals with storage. Why Vantage – A brief company overview and educational page. Precious Metals Investing – A detailed explanation of precious metals investing and some of the aspects involved in the transaction process. How Vantage Works – A list of the company's core values and how they work. Investing in precious metals within a self-directed IRA is a process that should be carefully researched and well understood by the investor. There are literally dozens of IRA custodians ands hundreds of bullion dealers to choose from, and while most of them are reputable enough to fulfill orders and honor their guarantees, not all companies operate under the same terms and fee policies. 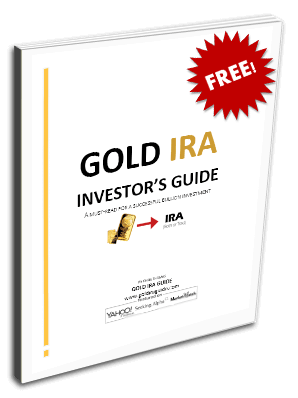 Fortunately, we've made it easy for anyone to conduct their own research using comparison lists of the top 70 Gold IRA companies and top 10 IRA custodians. Fee Schedules – The only way to really know exactly what you're going to pay to open and maintain a precious metals IRA is to examine your custodian's fee schedule. Some custodians charge a sliding scale storage fee, which increases along with the value of your account, while others charge a flat-rate fee that includes the cost of storage. Partnered Bullion Dealers – Some of the leading bullion dealers and Gold IRA companies have established partnerships with custodians and are therefore able to waive the custodian's fees in exchange for you buying your IRA-eligible bullion from them. For example, Regal Assets will often waive the custodian fees for the first 1-3 years, depending on the value of the account. By opening an account through a company like this you can streamline the process of setting up the account and stocking it with the appropriate gold products, while also saving money on custodian fees that you would've had to pay if you had signed up with the custodian directly. With the above facts in mind, we strongly urge you to compare the competition and research your decision thoroughly before making any substantial investments. If you're an owner, representative or associate of Vantage IRA and you've noticed any information within this review that is inaccurate, outdated, or misleading, please do contact us with your concerns. We strive to provide the most useful and accurate reviews for our readers on an ongoing basis. They are among the leading IRA administrators with 6,500 clients. Annual account administration fees start at only $100. The company provides a significant range of alternative investment choices such as private lending, real estate IRAs, private companies, and precious metals IRAs. Their fees for precious metals IRA administration and storage start at $225. There are other miscellaneous fees involved, some of them sliding scale based. I give this company 1 star only because there is no option for a “0” star rating. I was a client of one of their self directed IRA schemes for over 9 years. This company uses their power of filing a 1099R with the IRS frequently and in fact used that power on my accounts on two separate occasions. If you are familiar with a 1099R, it is a very serious reporting of distributed income to the IRS. It took years of time, our CPA and over a $1,000.00 to get the report straightened out with the IRS the FIRST time. They reported a distribution of my self directed IRA even though we paid our account maintenance fees in person at their office. They promised they would not file the 1099R, but did anyway. The second time, I attempted to close my accounts but they kept dragging the process on then decided I owed them fees even though I requested a closure before the fees were due for the following year. When I called & spoke to their staff, they said I did not owe fees & promised they would not file the 1099R, but they did anyway. They absolutely refused to make any corrections to the 1099R or make a correction to the amount they distributed (it was for far too much & they used an assessment that was 4 years old!). I know this is because I was no longer a “paying customer.” Forget about talking to the CEO and founder JP Dahdah; they guard him like some sort of crime boss. In dealing with the IRS, we found that our accounts were improperly set up as a self directed IRA by Vantage (then Entrust). Thanks for nothing Vantage.